INCLUDING: COMPATIBLE AIR FILTER. 4ADAPTATOR 70/75/80/85MM. SUPPORT AND CLAMPS. 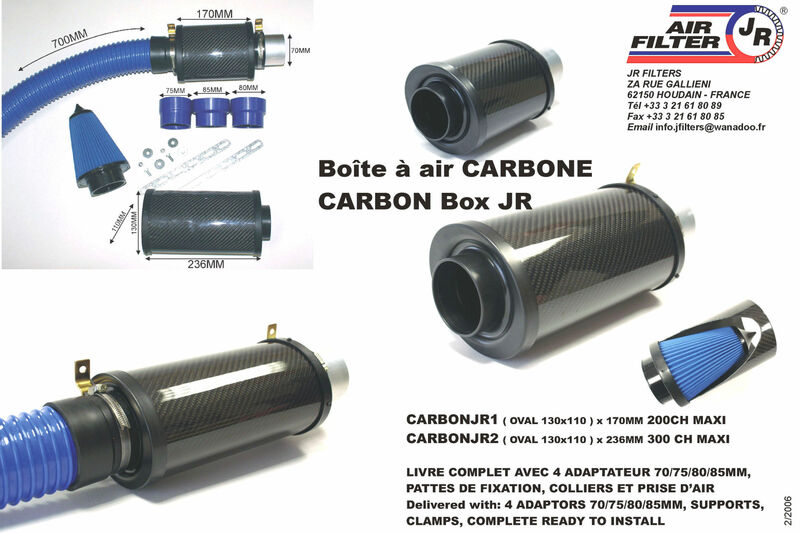 2 versions of the CARBONJR range available. One up to 200 horsepower, one other up to 300 horsepower.